What is Simple Object Access Protocol (SOAP)? The Customize Windows > Computer and Internet > Cloud Computing > What is Simple Object Access Protocol (SOAP)? Simple Object Access Protocol (SOAP) is a protocol standard that defines how two objects in different processes can communicate through XML data exchange. The importance of Simple Object Access Protocol (SOAP) is now related to Web Application and Cloud Computing. This protocol is derived from a protocol created in 1998 – XML-RPC. SOAP was created by Microsoft, IBM and others. It is maintained by the XML Protocol Working Group of the W3C. Simple Object Access Protocol (SOAP) is based on XML to represent the data and is propagated through the Internet protocols of the transport and application layer for the transmission of messages. The most common combination of SOAP is the usage over HTTP and TCP. 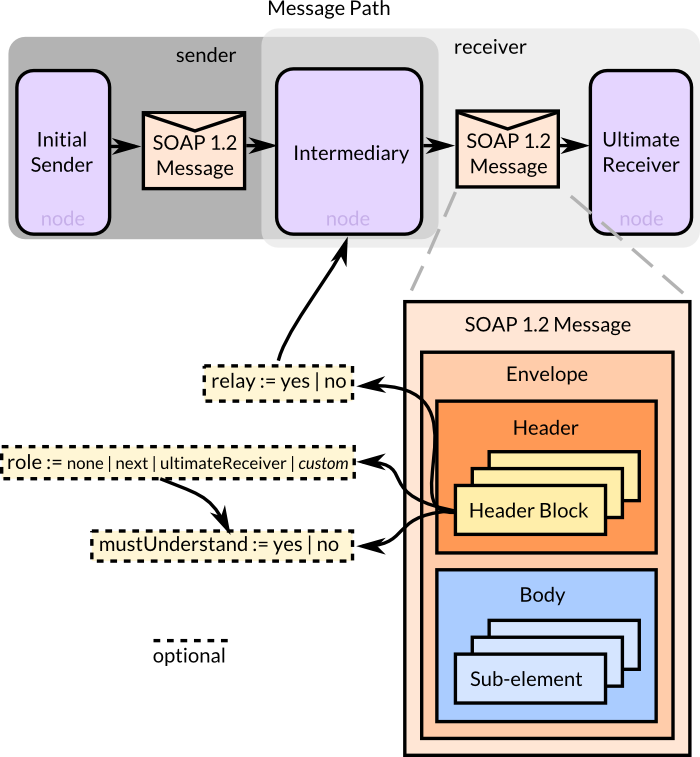 SOAP can be used via SMTP, FTP, HTTP or JMS. The data is not mandatory to be in XML format, other formats such as CSV are also supported. The acronym SOAP is not officially died since version 1.2 as it became a misnomer. Application developers today can use the email infrastructure of the Internet to transmit SOAP messages as text or email. This Article Has Been Shared 7068 Times! Articles Related to What is Simple Object Access Protocol (SOAP)? WordPress Cloud Hosting With Full Website State of Art Management for medium to big blogs and Corporate websites will be served from our joint venture very soon. Heroku or OpenShift or AppFog for WordPress? Heroku or OpenShift or AppFog for WordPress – Which is better, suitable and most easy Free PaaS hosting option for an average user ?Let us go through the topic. Install WordPress 3.x on openSUSE is obviously a bit difficult than on a REHL based or Debian based Linux distro – here is step by step guide. 3 Reasons to Select PaaS points out the shortcomings which were prominent in initial days of PaaS model, has gone away making PaaS more consumable. Title: What is Simple Object Access Protocol (SOAP)? Cite this article as: Abhishek Ghosh, "What is Simple Object Access Protocol (SOAP)?," in The Customize Windows, March 4, 2014, April 26, 2019, https://thecustomizewindows.com/2014/03/simple-object-access-protocol-soap/.